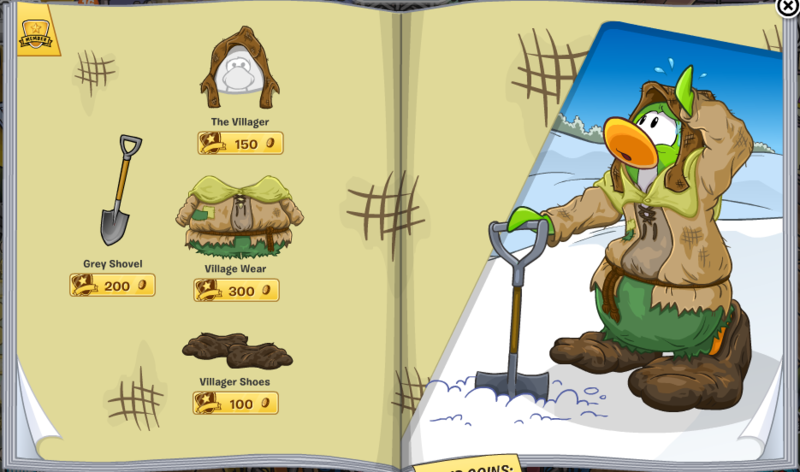 Club Penguin Style Catalog Cheats September 2013! We have a whole new catalog filled with cool medieval clothes and costumes. 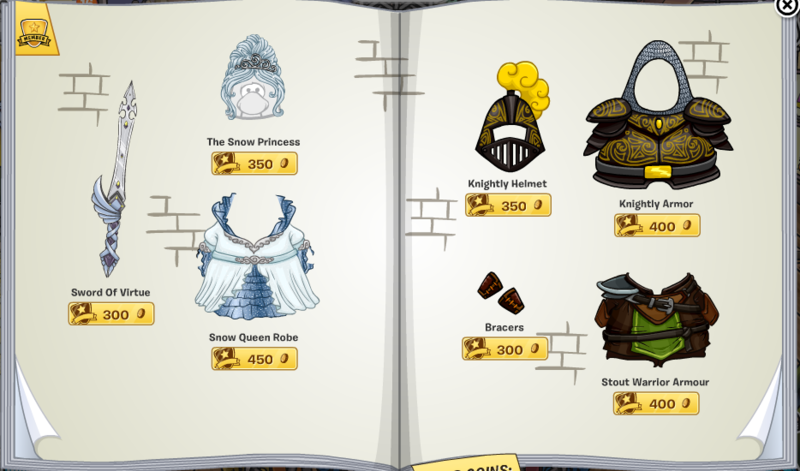 Also, don't forget about that knight armor and princess dress! Click on the light blue penguins eyes for a blue shield! 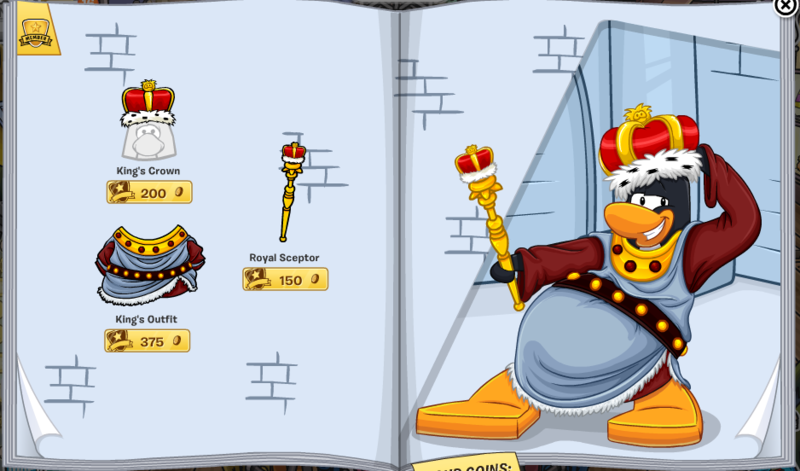 Click the king staff that is being held by the penguin for fairy wings. If you click the 'King's Crown' item you will get a blue King's Crown. There is a Red Shield in the castle wall behind the princess. Go to the item The Damsel and click the hat for a yellow shield. 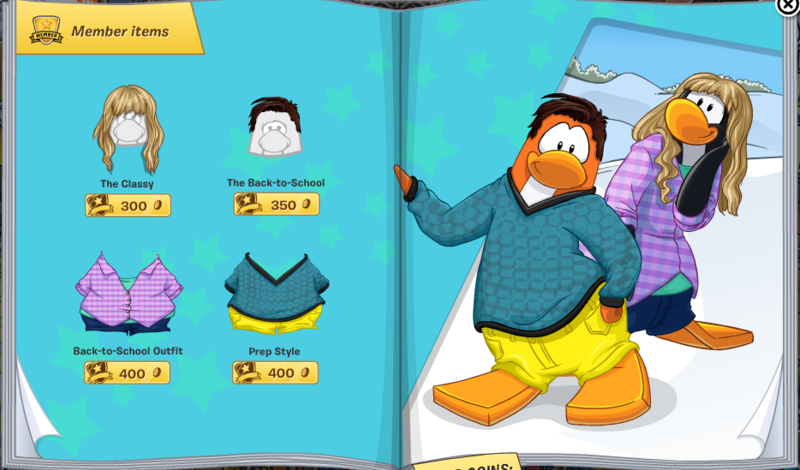 If you click the green penguins hand (flipper) you will get butterfly wings. 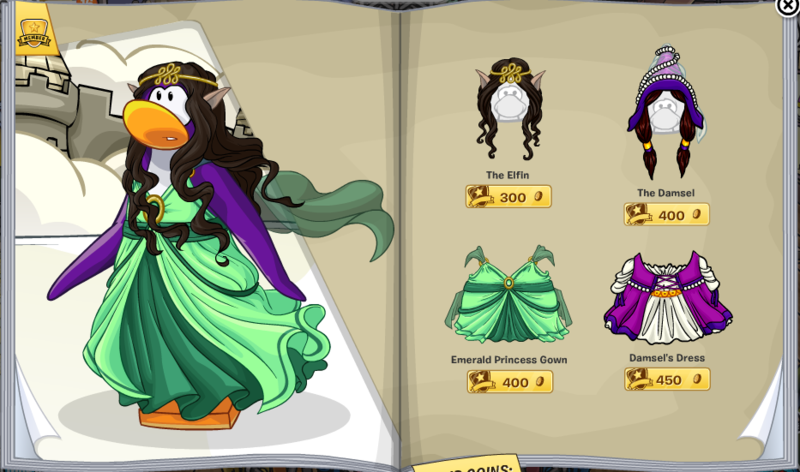 If you click 'The Snow Princess' item you will find a sapphire princess hat and a Maidens Gown. 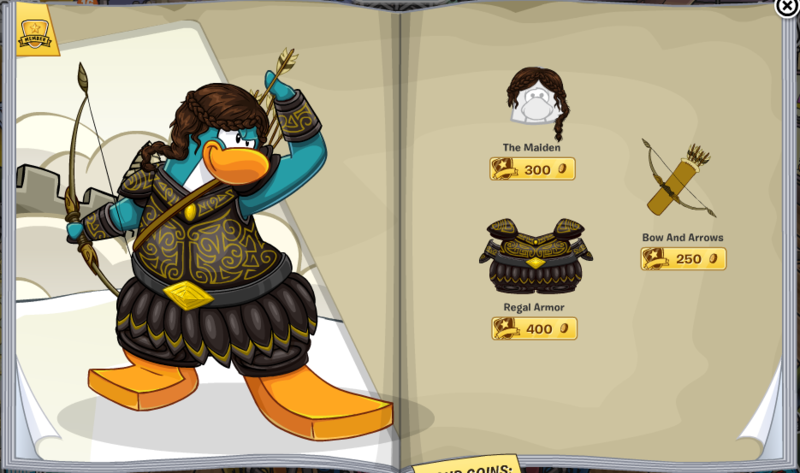 If you click the 'Knightly Helmet' item you will find nautical boots item.